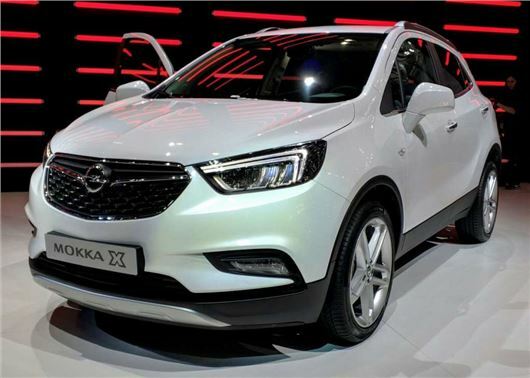 Vauxhall has given headline writers a gift by adding an ‘X’ to the Mokka’s name, reflecting a mid-life update. It’s literally been given the X-factor. It hits showrooms late 2016, and though pricing isn’t announced yet it’ll probably start a little higher than the current car’s £16,700 launch pad. It’s also been given a new grille, daytime running LEDs, a new 1.4-litre direct injection turbo engine, an interior of improved quality and Apple Carplay. The changes freshen up a car that, despite offering nothing exceptional in the compact crossover class, has amassed amazing sales figures, approaching half a million worldwide with 100,000 of those in the UK. The only mechanical change is the addition of a 1.4-litre turbo engine with 152PS and mated to a six-speed automatic transmission. With four-wheel drive, it posts 42.8mpg and 154g/km CO2 emissions.